All information at the Royal College of Music website. All information at Haringey Families website. 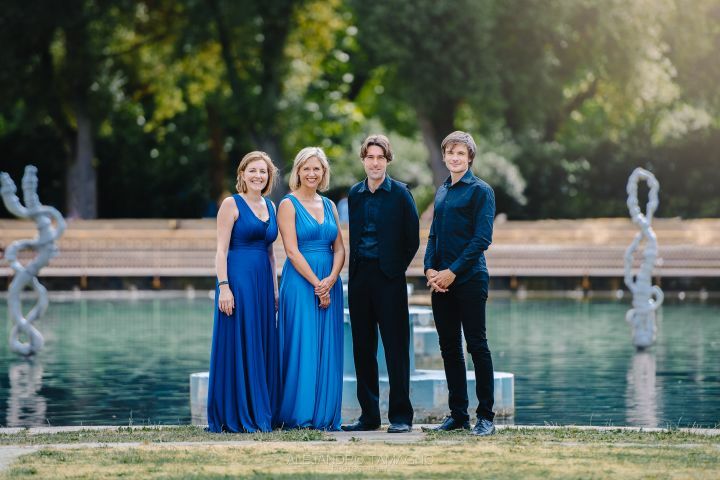 More information about the Cavatina Chamber Music Trust and Cavatina Family Concerts can be found here. All information at York Concerts website. All information at Sowerby Music website. All information at Hull Chamber Music website. All information at the Revelation St Mary's website. Janácek: String quartet No 1 "Kreutzer Sonata"
All information at the Cathedral Concert Society website. All information at the West Wight Arts Association website. All information at the Luton Music website. All information at the London Chamber Music Society website. All information at Whitstable Music Society website. All information at the Music at Malling website. All information at the North Norfolk Music Festival website. All information at the Bristol Old Vic website. All information at the Three Choirs Festival website. All information at the Egerton Festival website. Full details can be found at the New England Ballet Theatre website. All information at the Thaxted Festival website. All information at the Stour Festival website. All information at the Kings Place website. All information at the Devizes Festival website. All information at the Malvern Theatres website. All information at Salisbury Festival website. All information at the RCM website. All information at the Music at St Peter's website.